This creamy Italian Sausage and Tortellini is a perfect quick weeknight dinner. 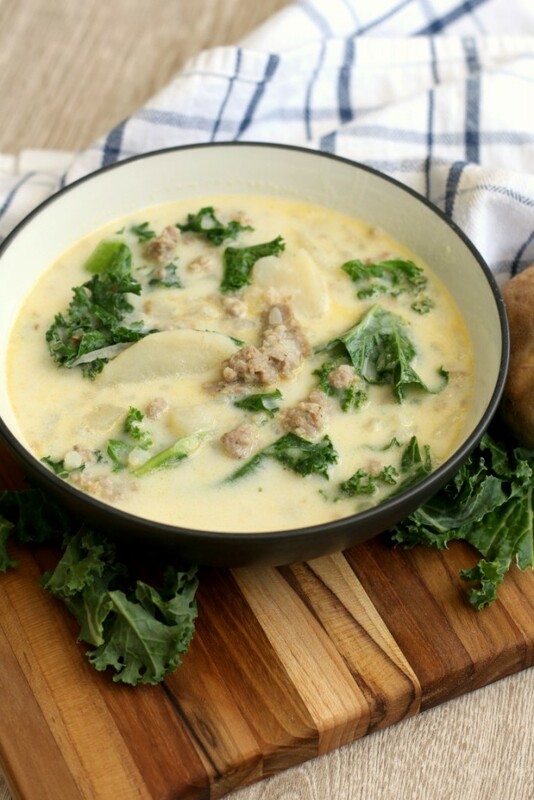 It’s quick and easy and the cream sauce is lighter, but still full of flavor. 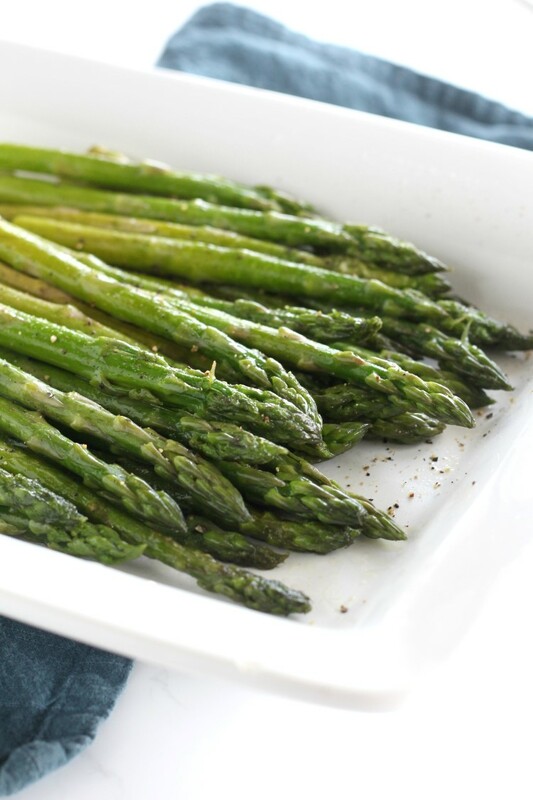 This simple seasoned sauteed asparagus is my family’s favorite way to eat asparagus. 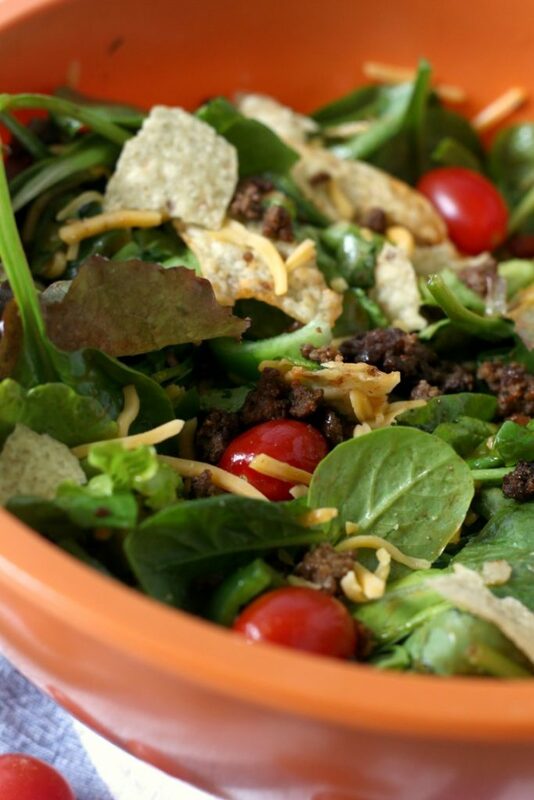 It’s quick (10 minutes), easy and perfectly tender-crisp. I start my job tomorrow. My first adult, grown-up job where I go to work every day. Not just a few days a week, but every day. Phew! This could be an adjustment for me. But I am beyond excited. I spent a lot of this past week thinking about how the new schedule will affect my ability to get things done around the house…. 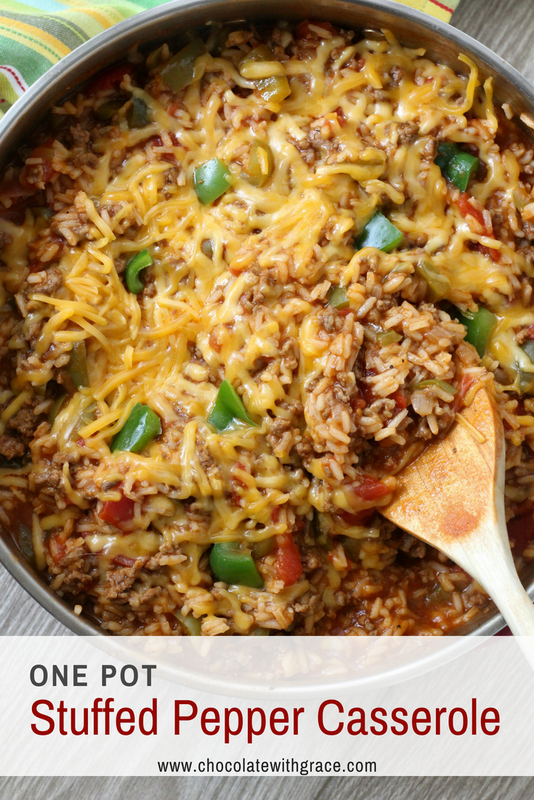 I’m partnering with Circulon® to bring you a series of recipes for 2 that are perfect for a date night in. 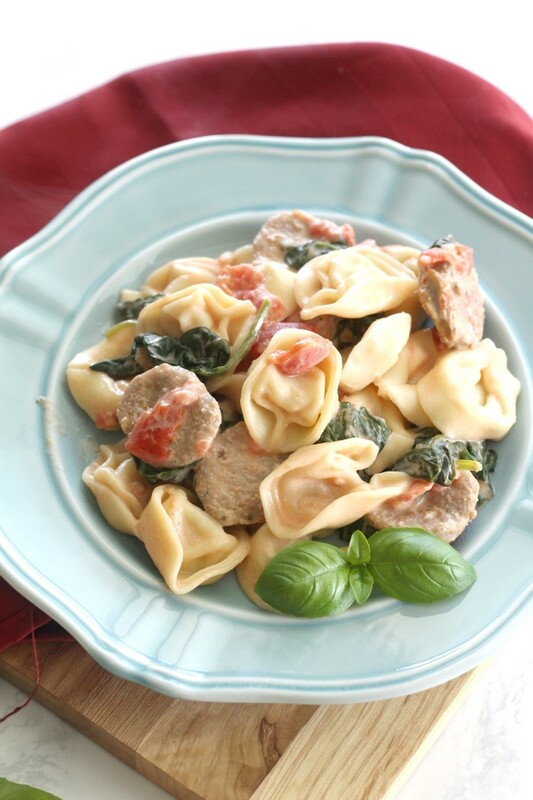 This is the second recipe in the series. Find the first one here. 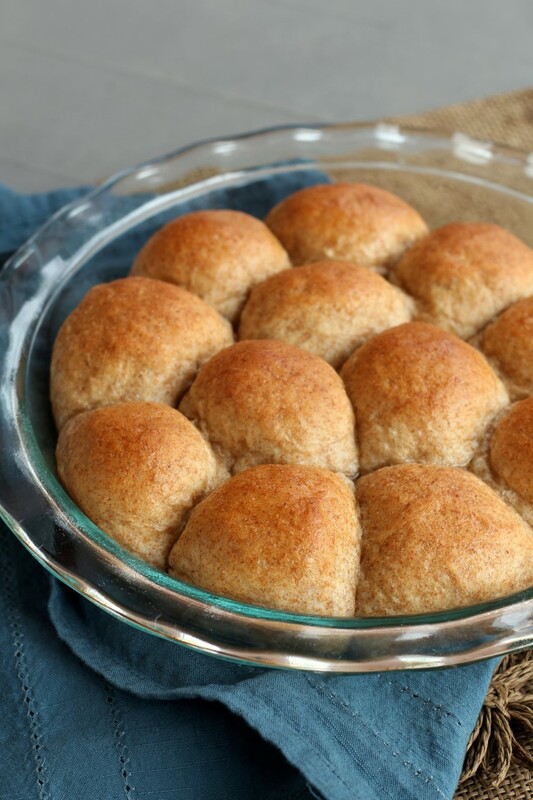 A quick and easy soft dinner roll made with whole wheat flour. 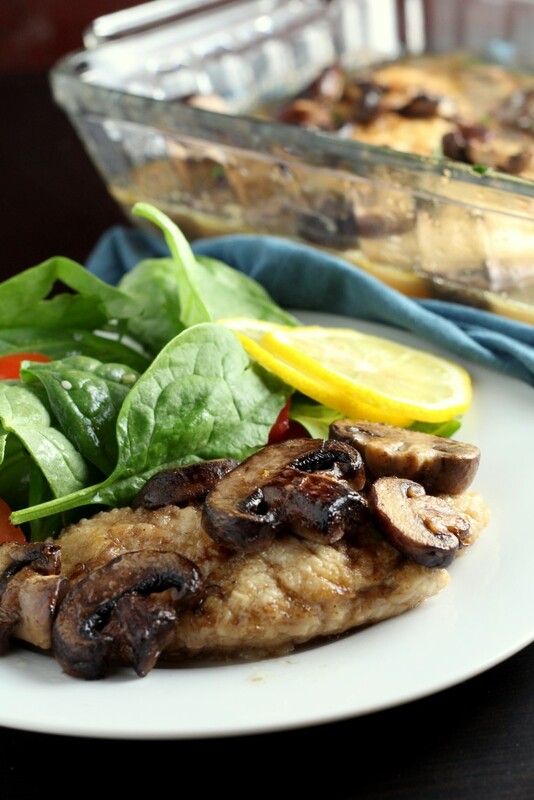 This recipe for Chicken Scallopini is an easy and healthy weeknight dinner that doesn’t sacrifice on flavor. 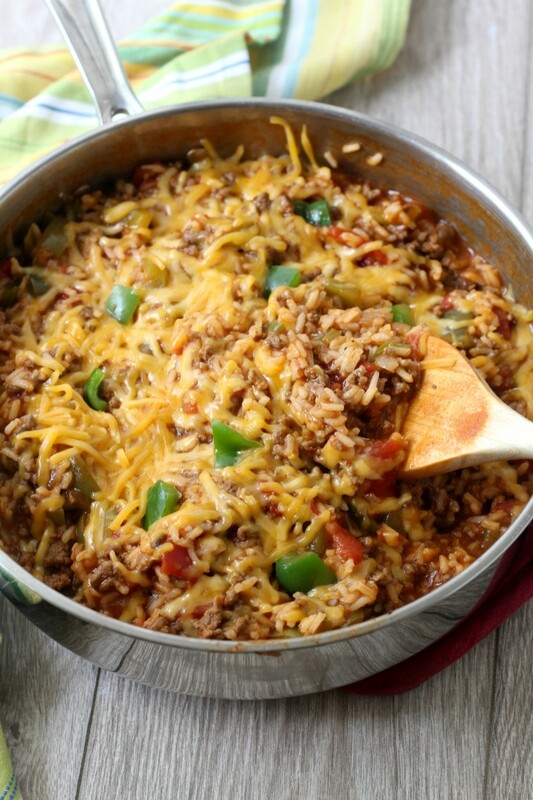 Ready in 45 minutes or less, the chicken is browned in a skillet, flavored with garlic, mushrooms and a white wine sauce and baked until tender…. 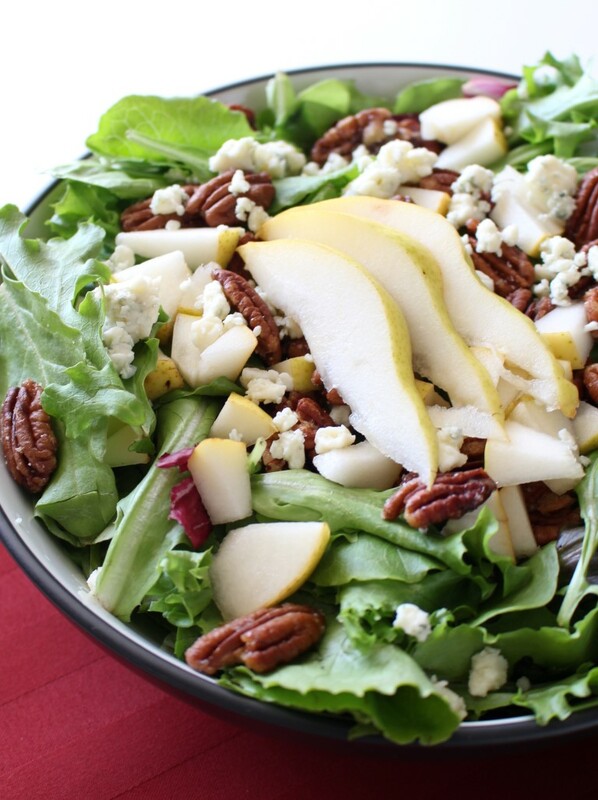 A salad for special occasions, this Pear, Pecan and Blue Cheese salad is simple and drizzled with a tangy Dijon Vinaigrette. 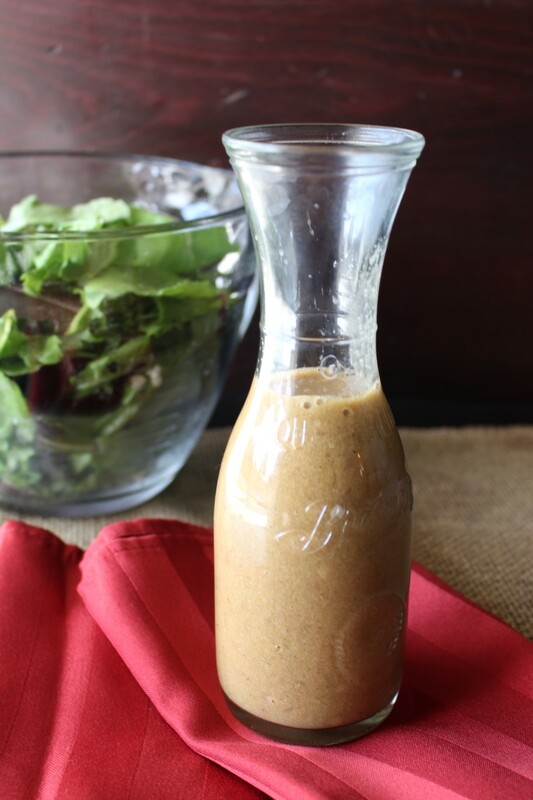 This healthy Dijon Vinaigrette recipe is tangy, flavorful and has no added sugar. I hope you all had a great weekend! Tyler and I had the chance to get away for a bit last weekend. It was good to escape the snowy weather and remember that spring will be here soon. (Who expects five inches of snow the first day of spring?!?!?) After work on Friday, we road tripped through Delaware, Maryland and across the Chesapeake Bay Bridge. The bridge is about 24 miles worth of tunnels and bridge and makes for a fun drive. 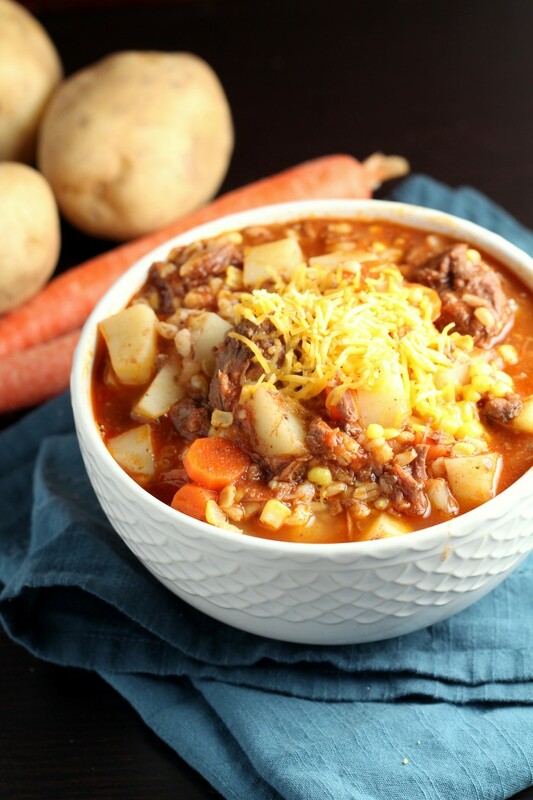 A simple but hearty supper, perfect for cold nights, this beef barley soup is a family favorite. The last few days have been some of the coldest of winter so far (our first negative temps of the season). No matter how warm we heat our house, we can’t get warm, because the cold is seeping in through every little crack. My family came to visit me this past weekend though and we had a blast staying inside, playing games and eating good food. 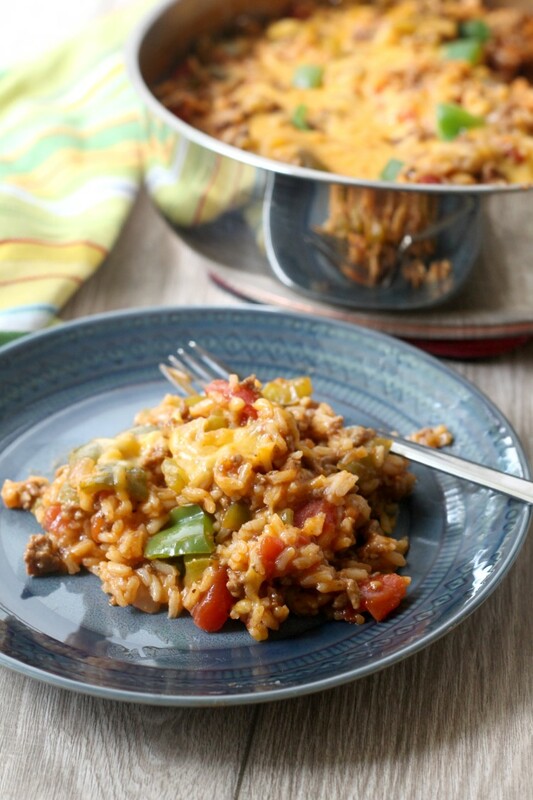 This Beef Barley Soup is an easy favorite and is perfect for those extra cold nights. 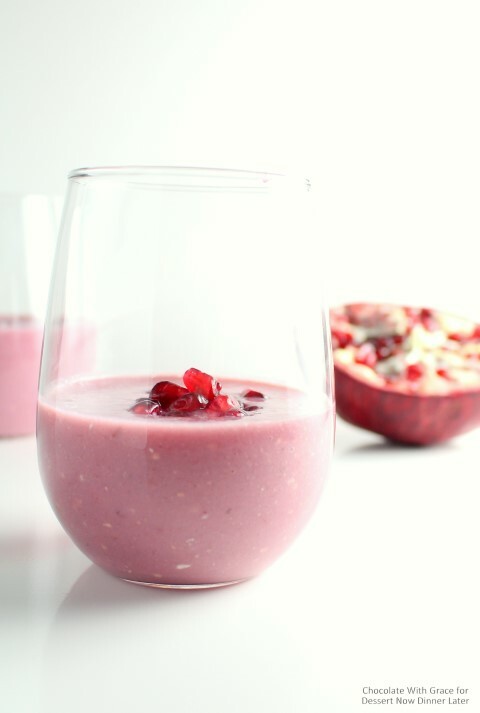 This Pomegranate Banana smoothie is and easy, healthy and delicious treat to start out your new year! I am sad because Christmas is over 🙁 (Although I can only handle so many sweets before I need to start eating healthy again). So, here is my first attempt to get back to a more normal diet with lots of fruits and veggies. 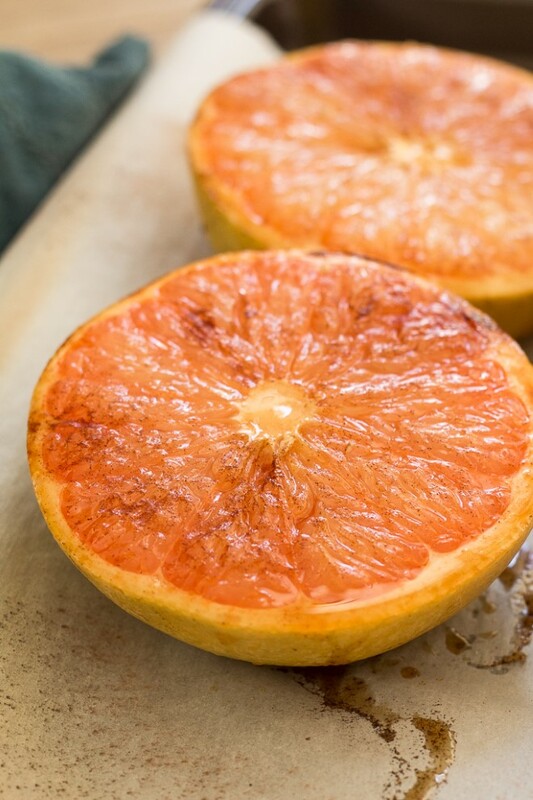 Besides, pomegranates are almost as good as candy, and they are certainly prettier…. 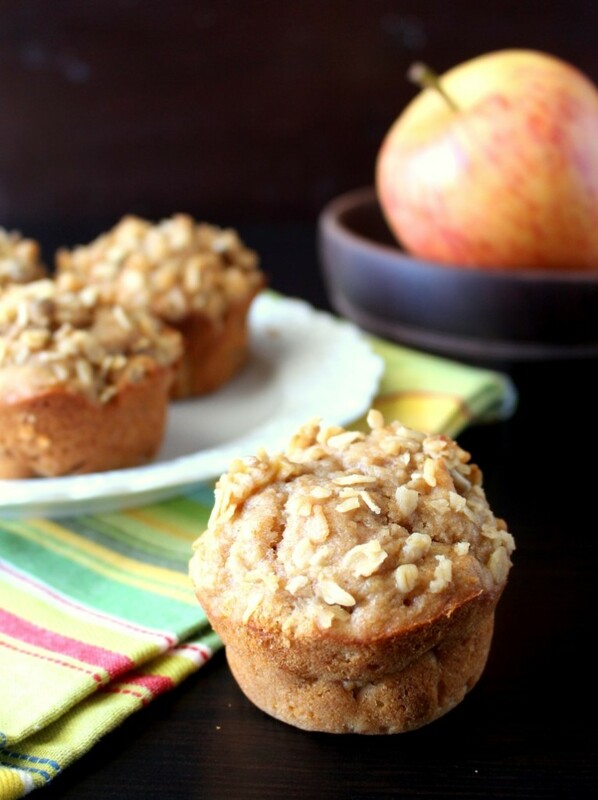 This moist, peanut-buttery muffin studded with apple chunks and topped with crunchy granola is a healthy and satisfying treat. Lately, I have had people asking me how I can make so many delicious, sugary treats and still eat somewhat healthy. While I do taste everything I make (Quality control is a must, I would never share something with you that didn’t pass! 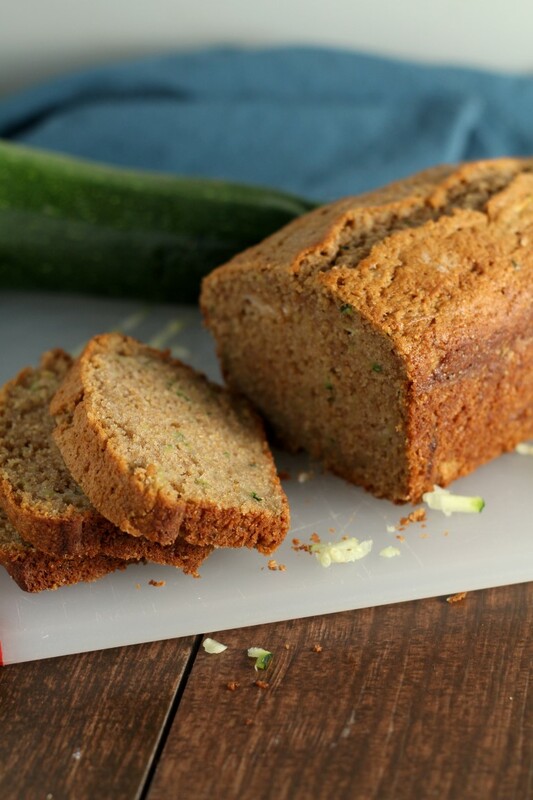 ), my husband and I don’t eat near all of what I bake. 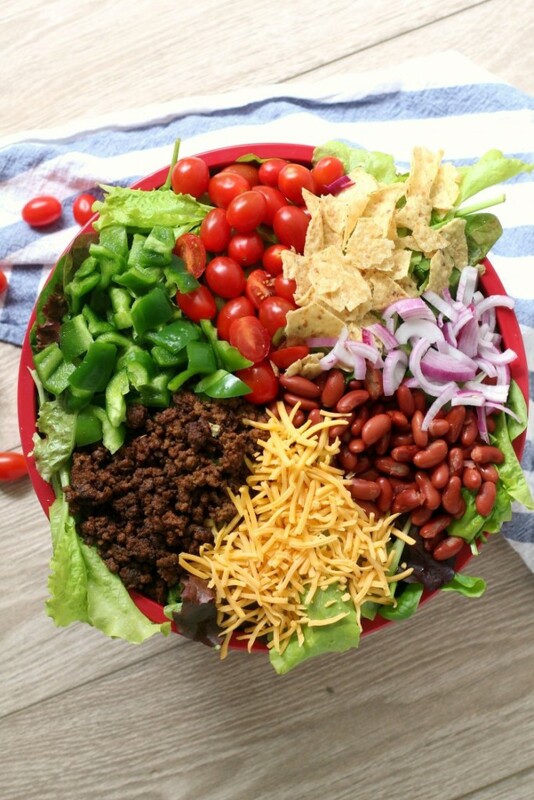 We give most of it away; our friends, family and neighbors love us for it, and it’s huge help to not have temptation staring us in the face (Although, there are some things we just can’t help eating all ourselves!). 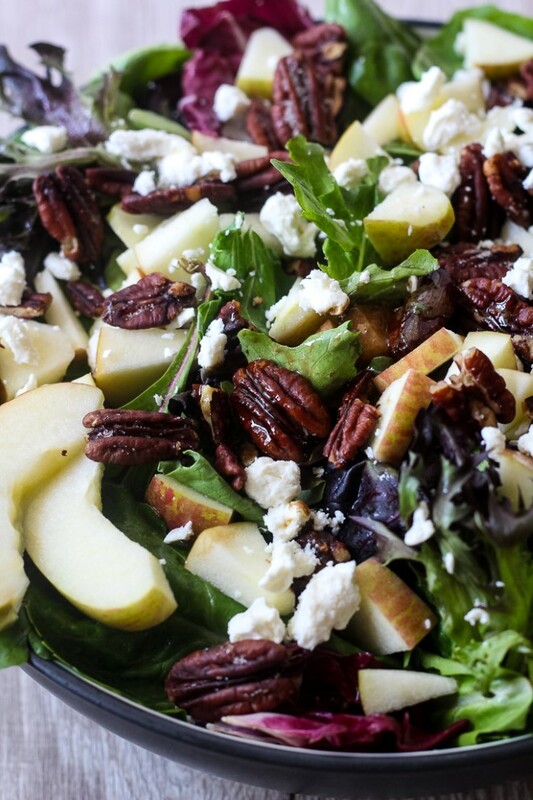 A nutritious salad packed full of juicy pears, tangy Gorgonzola and crunchy pecans. 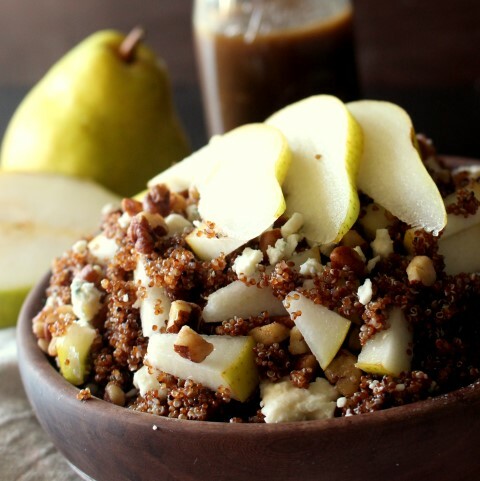 The title to this recipe is actually a little misleading; I used kaniwa in this salad instead of quinoa. Kaniwa is a close relative of quinoa with the same protein packed health benefits, only it has a prettier color and has a less bitter taste. It’s a winning change, though. Kaniwa is basically the same as quinoa, only better, and the rich color adds an improved visual element to the dish. Pizza on the grill is surprisingly easy and delicious. 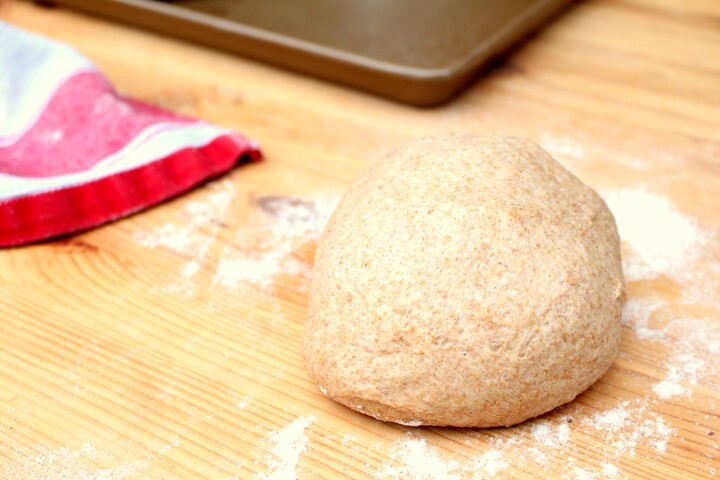 This whole wheat pizza crust is not only healthy, but quick to make and can be ready in less than 45 minutes. 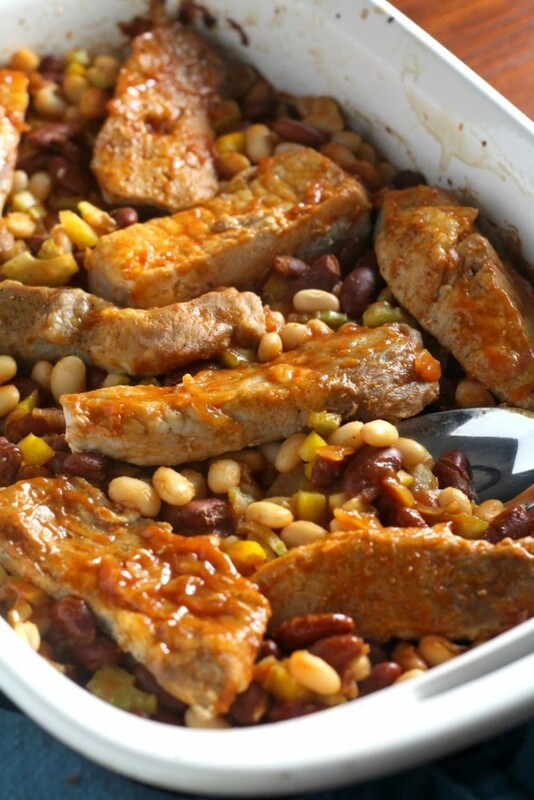 I’m not a meat person, meaning meat and I don’t get along when it comes to cooking. I’m a lot happier playing with flour, sugar and dough. Tyler likes a nice piece of meat for supper and he is great at grilling, so in the summer, many of our meals are made entirely on the grill. I usually don’t get involved in the grilling process; I mean I don’t even know how to start it! It’s all part of my strategy. I figure if I don’t know how, I won’t have to. My one exception is when we grill pizza. I make the dough and oversee the process, even though Tyler still turns it on. It’s perfect, because I love playing with dough. The easiest, tastiest way to grill your sweet corn. Grilled sweet corn is not only extremely easy to cook, but also brings out all the sweet, delicious flavors of the corn. If you have been following my Instagram, you’ve probably seen that Tyler and I have been trying out many different methods to find the perfect way to grill sweet corn. We are almost tired of eating corn after eating several ears each night this week, but we are excited to share our favorite method with you. 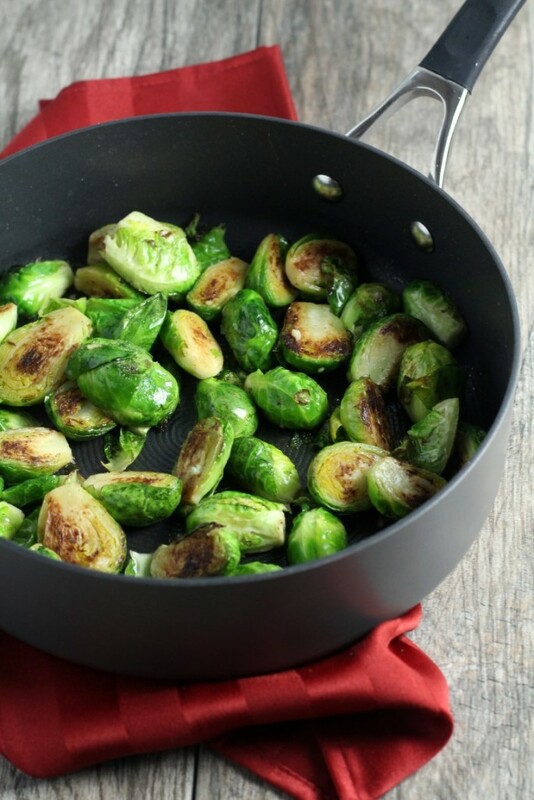 We wanted our recipe to have several traits: it had to be easy with no pre-cook shucking or soaking involved, and most importantly, it had to be tasty too! We wanted the sweetest, tenderest corn it was possible to cook! 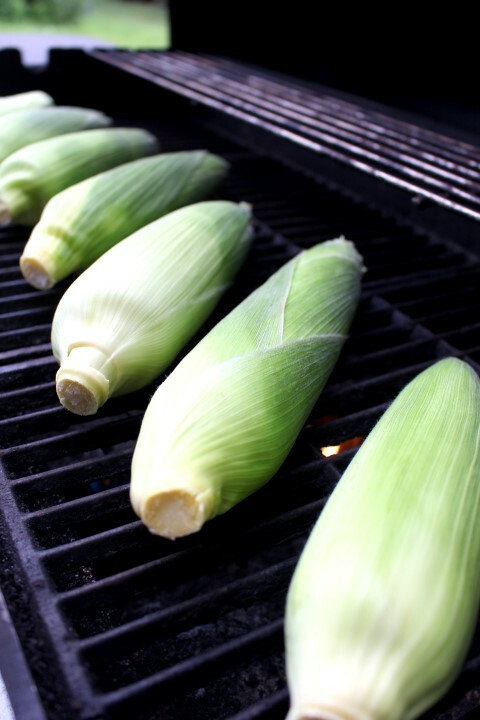 Follow along through the pictures to learn out to grill the perfect sweet corn. My new favorite way to enjoy hummus. Caramelized onions and a touch of balsamic vinegar give ordinary hummus an upgrade. 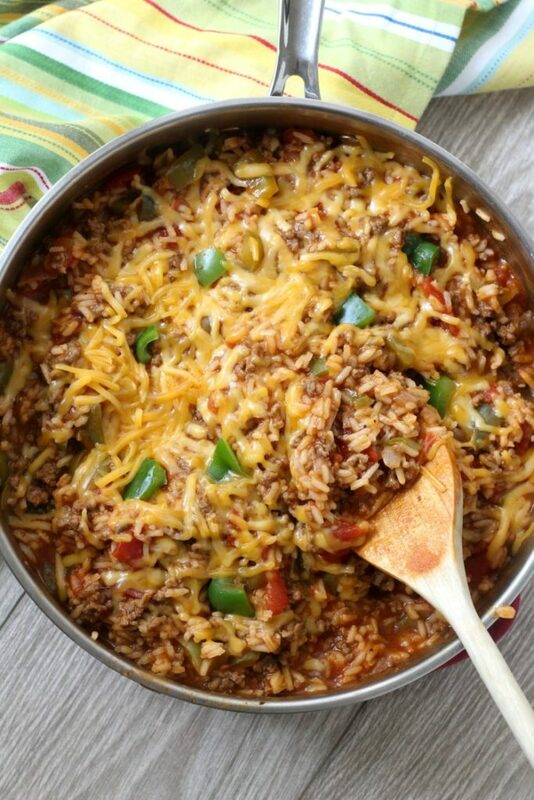 Lately I have posted a lot of sinfully delicious recipes. Cookie Dough Brownies, Key Lime Pie Cupcakes and Peanut Butter Cookie Milkshakes are great, but I promise I do make and eat healthier things too! This hummus is a new favorite! 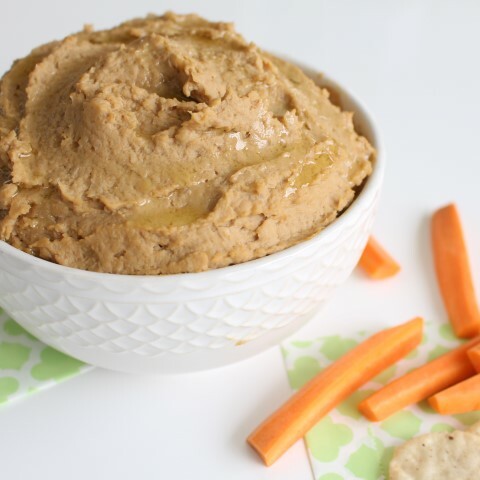 I’ve been wanting a savory snack to bring to work that can add a little flare to carrots in my lunch and have experimented with a few different types of hummus, and this latest one is delicious! Thick and creamy, with a slight sweetness from the caramelized onions and balsamic vinegar, it’s fancy enough for a weekend appetizer as well. 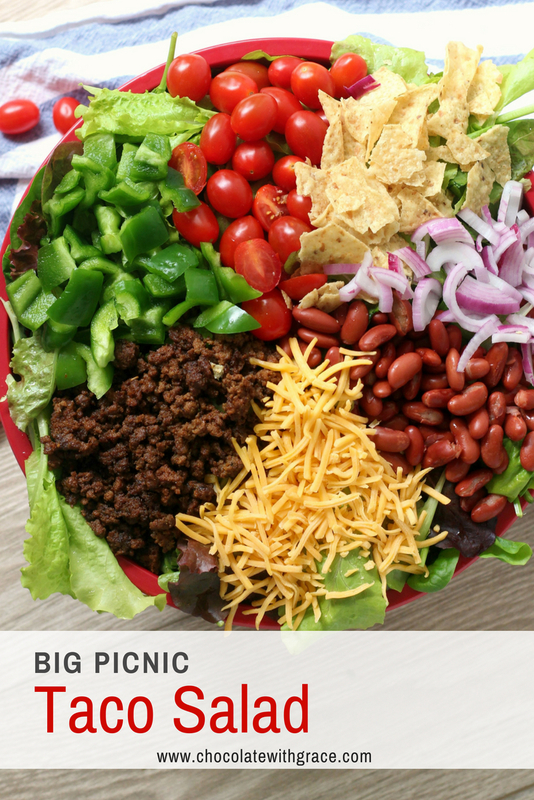 But I could eat it every day of the week. 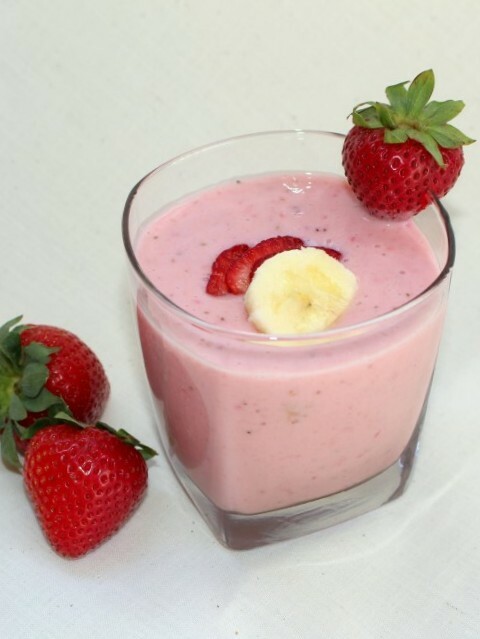 This simple five ingredient strawberry banana milkshake is a healthy treat. 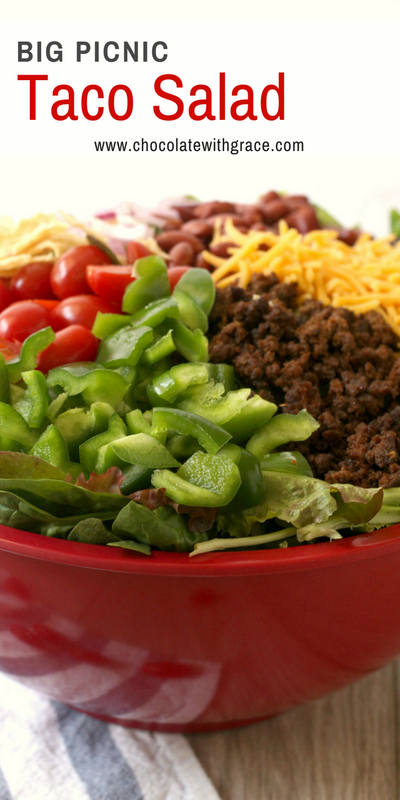 With lots of protein, it makes a perfect breakfast. I hope everyone had an extra enjoyable Independence Day weekend. I will say it was a bit hard to go back to work after having three lovely days off. On Saturday, Tyler and I enjoyed a day trip up to the Poconos to do some hiking and relaxing. If you’re ever in the area, stop by Bushkill Falls. There are eight gorgeous waterfalls in a two and a half mile hike. So pretty! 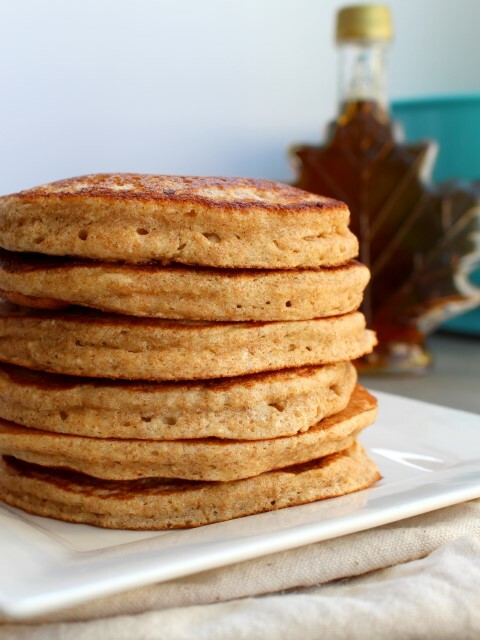 Classic pancakes made with whole wheat flour and oatmeal. Plus a tip to make the fluffiest pancakes ever. Happy Friday! I hope your day is as beautiful as ours is here in Pennsylvania. Tyler and I are so excited for a relaxing weekend with no plans, no schedules, no places we have to be. The past 6 weekends we have either been out of town or hosting company ourselves. It was great, crazy fun, but it’s time to relax. 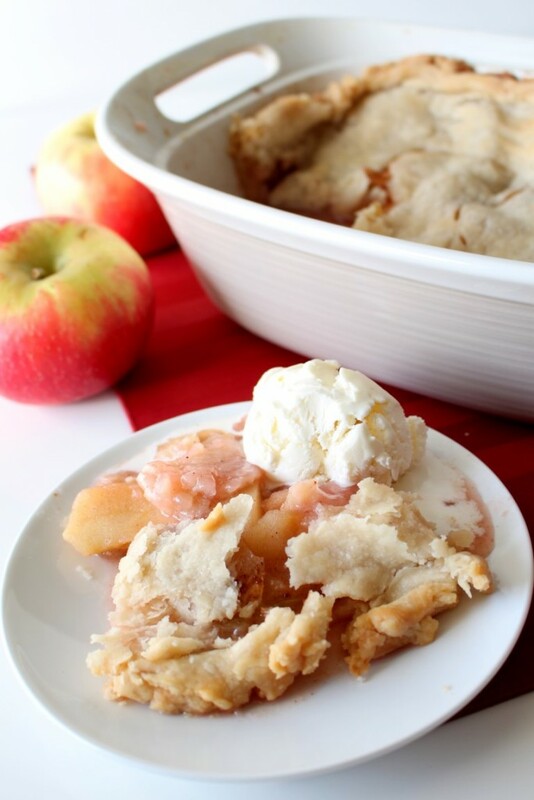 I’m looking forward to sleeping in, working outside and doing some baking…. 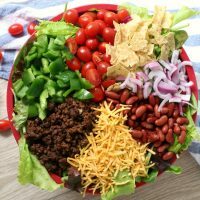 One Saturday, after baking several batches of cookies and bars for the blog and taste testing them all, I decided Tyler and I needed a something healthy for supper. 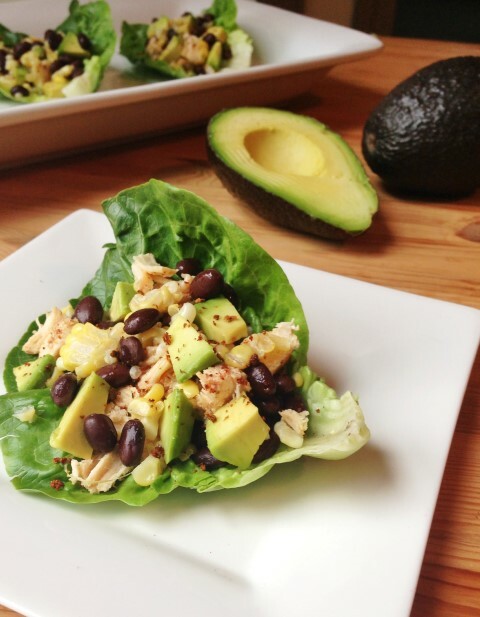 With a few avocados and some chicken on hand, I threw together a mixture for some lettuce wraps that turned out to be nothing short of amazing. And another blog recipe was born. Breakfast has always been an important meal for me. Without it, I start feeling weak and lethargic halfway though the morning. So I always make sure to eat it. It never has been fancy though, cold cereal, oatmeal or a bagel are pretty average breakfasts for me. But honestly I don’t enjoy breakfast foods all that much. 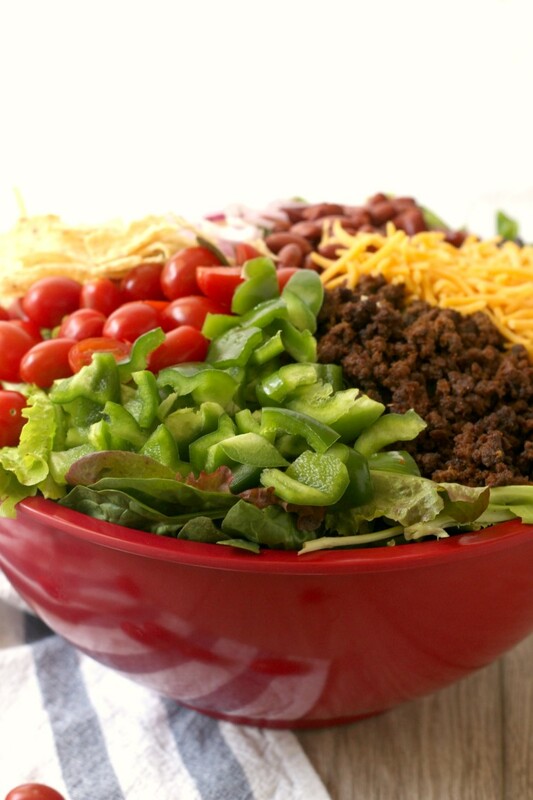 I would rather have a meal of spaghetti, hamburgers or grilled cheese. But who has time for that in the morning? Not to mention, its not a healthy start to the day. 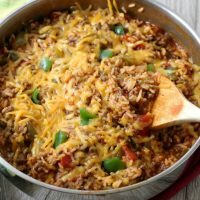 Last Saturday, I had some time to do some meal planning for the coming work week and included some breakfasts. 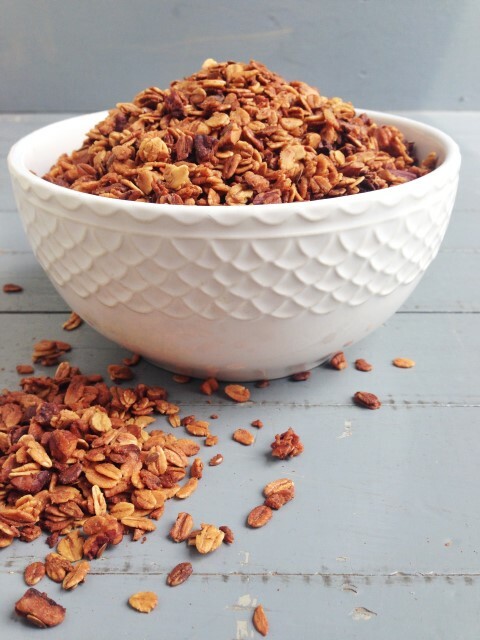 I decided to make some granola. 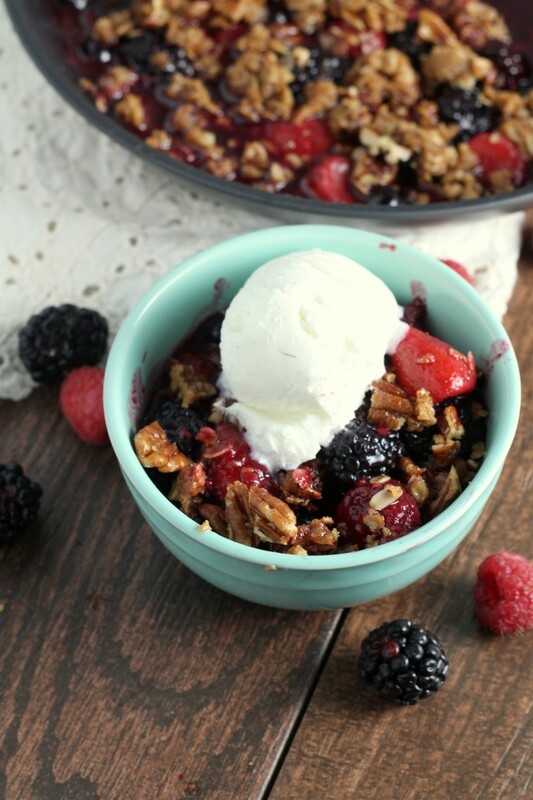 Granola is a traditional breakfast food I like, and it is so much cheaper to make….